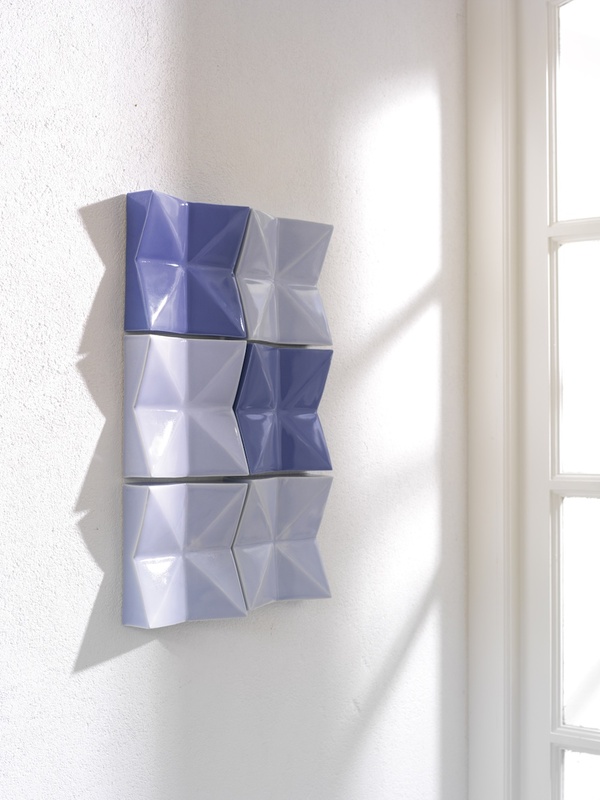 Camilla’s inspiration for 3 dimensional tiles grew from a curiosity in perspective and illusion. 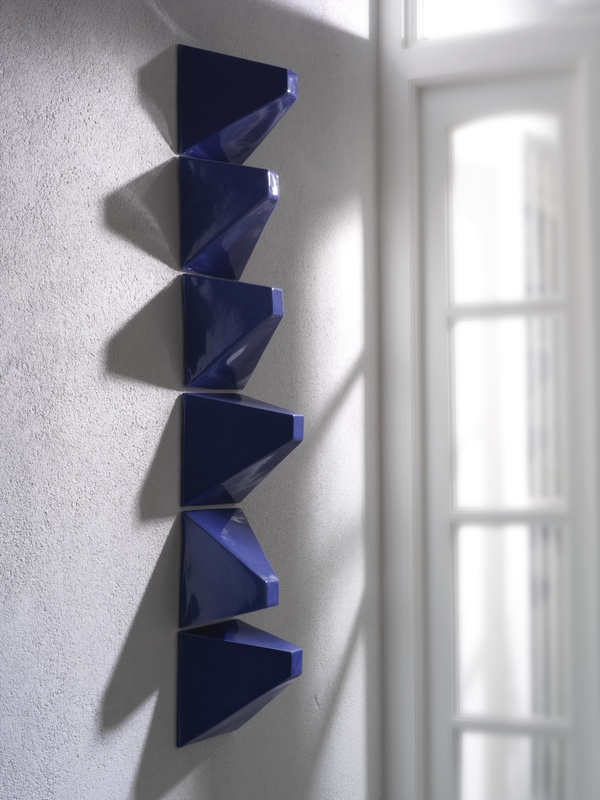 She has created geometric and architectural forms to be ‘seen’ as tiles. By making the ‘tile’ into 3d she can create a tactile environment with a structured sense of movement and illusion. Camilla arranges the tiles so that they catch natural light and shadow adding an undulating nature to a space. Rather than traditional tiles, there maximum impact is when placed onto a feature wall, in place of a painting or can be randomly scattered across a wall for a unique interior decoration. 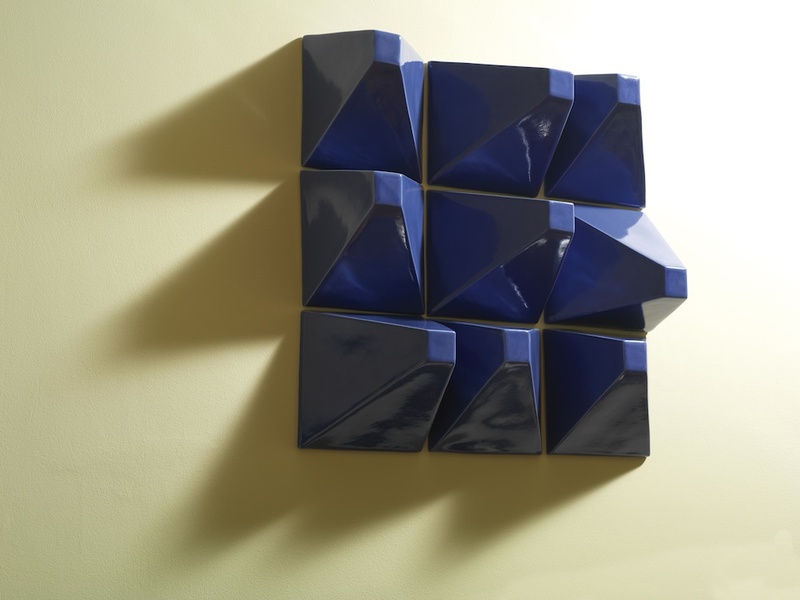 Camilla’s 3 dimensional wall tiles are ideal for private and commercial commissions. She is also happy to work with her clients to make sight specific pieces.